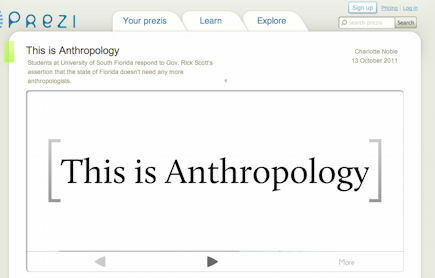 Rick Scott is not the only anti-anthropology governor. Several Texas universities have lost their anthro graduate programs. Texas Tech and UT Arlington among them. Anthropology is the missing factor in psychology today, there’s so much to learn from the environmental impact on physiological and philosophical processes that result in behaviour on individual, meso-social and macro-social level. But with 7 billion we probably are better off with the simple mind of an ant.